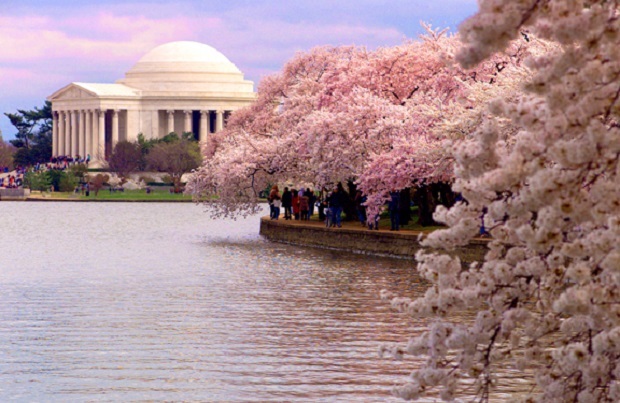 Every year, Washington DC hosts the “Cherry Blossom Festival”, a month long event to celebrate the annual bloom of the cherry blossoms around the Tidal Basin. The trees were a gift from Japan over 100 years ago and every day for a month, there are fireworks, kite flying, parades, and other festivities to celebrating the arrival of the fragrant trees. Unfortunately, because of the weather, the trees haven’t bloomed to their full potential yet, so there’s still time to plan a trip over to DC to see them. Once they bloom, it will be a beautiful sight, and I’m proud to work in a city embraces such beauty.